Cameron Mackintosh and Andrew Lloyd Webber’s Really Useful Group are delighted to announce the casting for their spectacular new production of Andrew Lloyd Webber’s THE PHANTOM OF THE OPERA currently on sale for the premiere Dallas engagement at the Margot and Bill Winspear Opera House in the Dallas Arts District. With newly reinvented staging and stunning scenic design, this new version of PHANTOM, the most successful musical of all-time, will be performed by a cast and orchestra of 52, making this one of the largest productions on tour in North America. Tickets prices start at $30, with prime orchestra seats for most performances priced at $100. Tickets can be purchased online at www.attpac.org, by phone at 214-880-0202 or in person at the AT&T Performing Arts Center Information Center at 2353 Flora Street (Monday 10 a.m. – 6 p.m.; Tuesday thru Saturday 10 a.m. – 9 p.m.; Sunday 10 a.m. – 6 p.m.). Cooper Grodin portrays the man behind the mask, ‘The Phantom,’ with Julia Udine as ‘Christine Daaé,’ Ben Jacoby as ‘Raoul,’ Jacquelynne Fontaine as ‘Carlotta Giudicelli,’ Brad Oscar as ‘Monsieur Firmin,’ Edward Staudenmayer as ‘Monsieur André,’ Linda Balgord as ‘Madame Giry,’ Frank Viveros as ‘Ubaldo Piangi’ and Hannah Florence as ‘Meg Giry’. 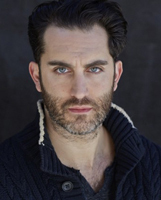 Cooper Grodin has recently been seen in Shakespeare in the Park’s Into The Woods, the Drama Desk-nominated Best Revival of The Golden Land and across the country in the National Tour of Les Misérables. His debut original album “It’s The Little Things” was released in 2012. Chicago native, Ben Jacoby has performed at the Marriott Theatre, Milwaukee Rep, Maine State Music Theatre and the Utah Shakespeare Festival. Jacquelynne Fontaine’s stage and opera credits include The Student Prince (Kathie, Pittsburgh CLO), A Little Night Music (Charlotte, Indiana Rep), La Traviata (Violetta) and was Miss California 2006. Brad Oscar’s Broadway credits include Big Fish, Nice Work If You Can Get It, The Producers (Tony® nomination), The Addams Family, Spamalot and has also been featured on TV’s Smash and The Good Wife. Edward Staudenmayer’s Broadway credits include Wonderland, Martin Short: Fame Becomes Me and Beauty and the Beast (1st National Tour). Linda Balgord received a Drama Desk Award nomination for The Pirate Queen and has also been seen on Broadway in Gypsy, La Cage Aux Folles, Cats and Passion. 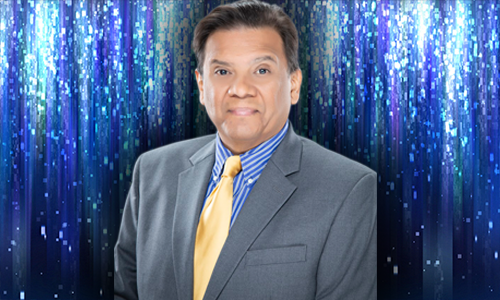 Frank Viveros originated the roles of Bloat The Blowfish in Disney’s Finding Nemo: The Musical and Iron Chef in Yellow Brick Road. Hannah Florence appeared in Scandalous (Broadway) as well as Where’s Charley (Encores! ), Anna Nicole (NYC Opera/BAM) and Mary Poppins (1st National Tour). The Ensemble includes Adam Bashian, Nick Cartell, Dan Debenport, Amy Decker, Mark Emerson, Michael Thomas Holmes, Celia Hottenstein, Christopher Howard, Merritt David Janes, Edward Juvier, Dustin Layton, Luke Lazzaro, Jay Lusteck, Katie McCreary, Grace Morgan, Christy Morton, Lindsay O’Neil, Quinto Ott, Eric Ruiz, Allan Snyder and Marguerite Willbanks. The Corps de Ballet includes Morgan Cowling, Anjelica Bette Fellini, Ramona Kelley, Abigail Mentzer, Lily Rose Peck, Tara Sweeney and Micki Weiner. This new production of THE PHANTOM OF THE OPERA is directed by Laurence Connor (the 25th Anniversary production of Les Misérables now on Broadway) with choreography by Scott Ambler, set design by Paul Brown, Tony Award-winning original costume design by Maria Björnson, lighting design by Tony Award-winner Paule Constable, sound design by Mick Potter and musical supervision by John Rigby. The production is overseen by Matthew Bourne and Cameron Mackintosh. THE PHANTOM OF THE OPERA has music by Andrew Lloyd Webber; lyrics are by Charles Hart (with additional lyrics by Richard Stilgoe) and the book is by Richard Stilgoe and Andrew Lloyd Webber. Orchestrations are by David Cullen and Andrew Lloyd Webber. There are currently seven productions of THE PHANTOM OF THE OPERAaround the world: the flagship London production (27 Years and counting), New York (26 Years and counting), Sapporo (Japan, 25 Years and counting, in repertory), Budapest (Hungary), Hamburg (Germany), the Asian Pacific Tour (now in South Korea) and Cameron Mackintosh’s spectacular all-new production now on North American Tour. The next international opening will be in Taipei, China in September 2014. Since its debut, THE PHANTOM OF THE OPERA has grossed over $5.6 billion worldwide, with over 65,000 performances that have been seen by 130 million people in 30 countries and 152 cities in 13 languages.  The show has won more than 70 major theater awards. The new touring production of THE PHANTOM OF THE OPERA will be the first to tour the U.S. in three years. There have been three previous U.S. National Tours that grossed over $1.5 billion in combined box office sales and played 216 engagements in 77 cities for an unprecedented total of 36 years and over 14,500 performances to 31 million people. Based on the classic novel Le Fantôme de L’Opéra by Gaston Leroux, THE PHANTOM OF THE OPERAtells the story of a masked figure who lurks beneath the catacombs of the Paris Opera House, exercising a reign of terror over all who inhabit it. He falls madly in love with an innocent young soprano, Christine, and devotes himself to creating a new star by nurturing her extraordinary talents and by employing all of the devious methods at his command. 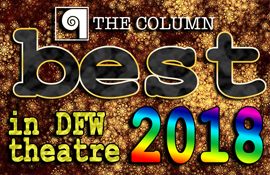 THE COLUMN reviews theater all around the Dallas-Fort Worth metroplex as well as national tours and Broadway productions. © The Column Online 2017. All rights reserved. Produced by Stucko Monkey Productions.